In a medium saucepan over medium heat, melt butter and add in olive oil. Add rice and stir until rice is well-coated. Add wine and stir until wine is absorbed, about 1 minute. Stir in pasta sauce and cook until heated through. Remove pan from heat and stir in cheese. Season with salt and pepper to taste. Serve promptly. 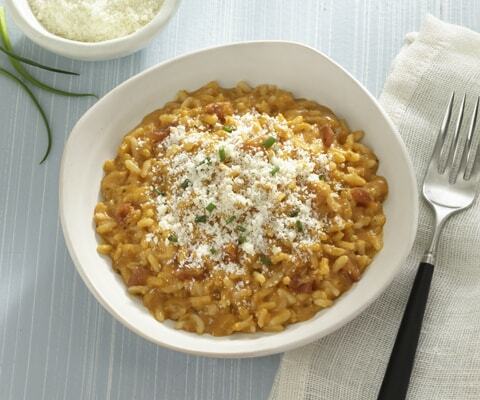 For a richer and creamier risotto add in an additional cup of Four Cheese Tomato Cream Pasta Sauce. Your resipes have been very easy and always tasty.